Salsambo offers unique opportunities to perform. Got what it takes? 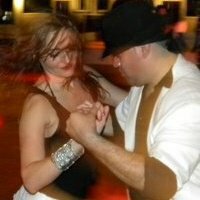 Talk to Alfredo Piceno about joing our Salsa or Bachata Performance team. Now accepting Intermediate/Advanced members. Approval required to join. $100 Monthly Membership includes rehearsals, local performance opportunities, admission to all Salsambo Latin nights, and unlimited Salsambo group lessons.